I have been working like a fiend an a project that will likely become a Christmas gift. I’ll post photos on that one when I’m done. 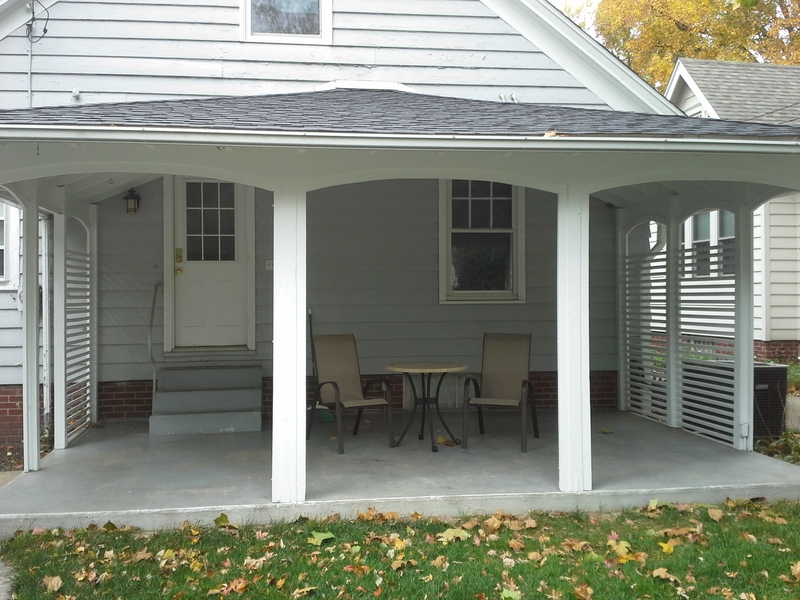 In the meantime, here is the remodel of the back porch, which was actually done this past summer. 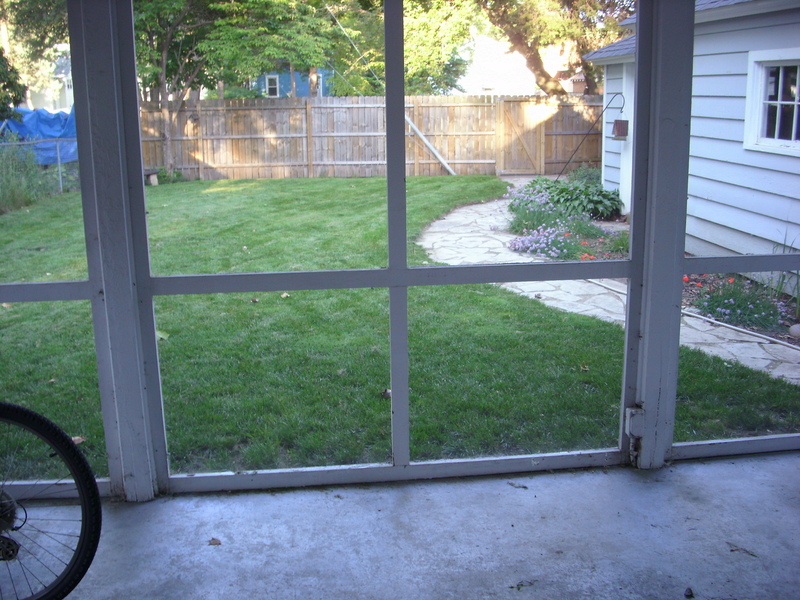 Looking toward the back yard, through the screen and support bar. You can see the screens (not clear in this photo that most of them were torn and not doing their job.) 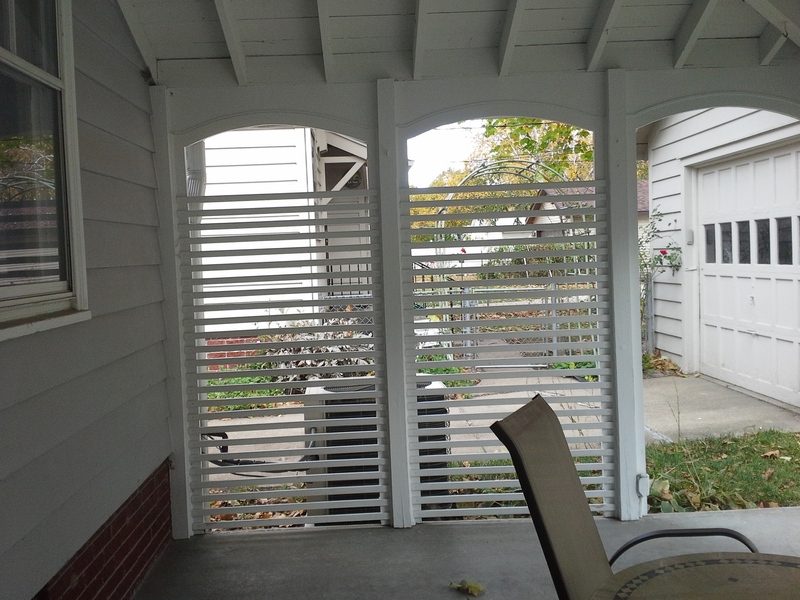 The screens and support bars, wrapped around to the sides of the porch, enclosing it. 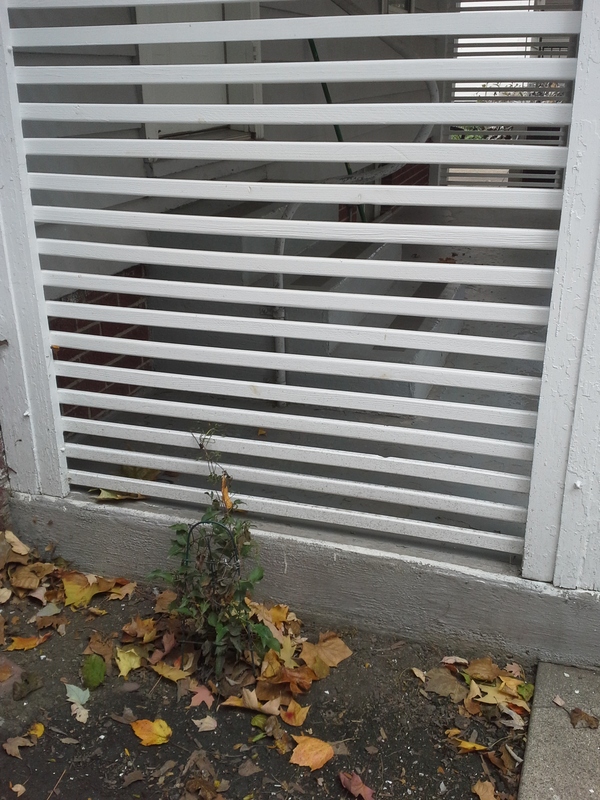 There use to be a screen door too, but I had removed it, years ago, as it was structurally unsound. The screens and support bars have been removed, opening the view to the back yard. Horizontal lathe was added for privacy. View from the porch, facing north. Lovely neighbors that way…and the air conditioner. The lathe on the south side. This sad little plant is a purple clematis, which as it matures, will climb the slats, adding beauty and privacy. 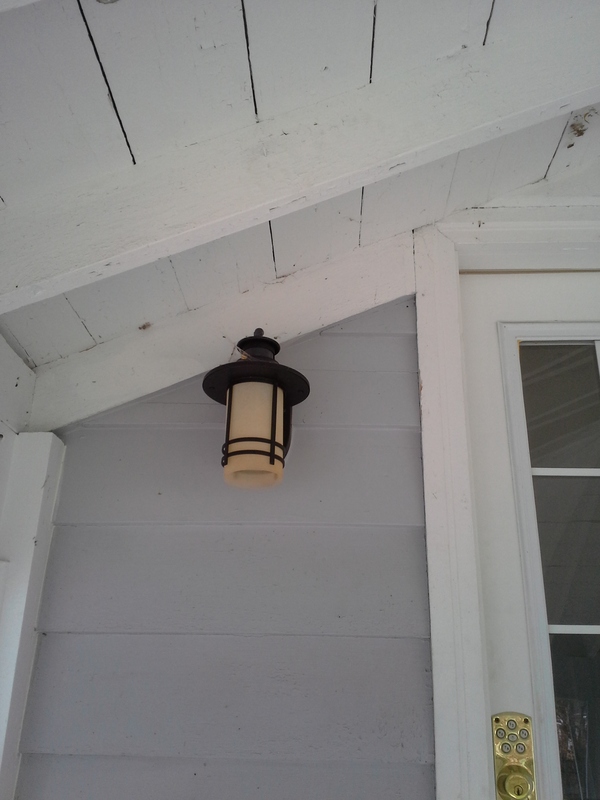 And I changed out the light at the back door. 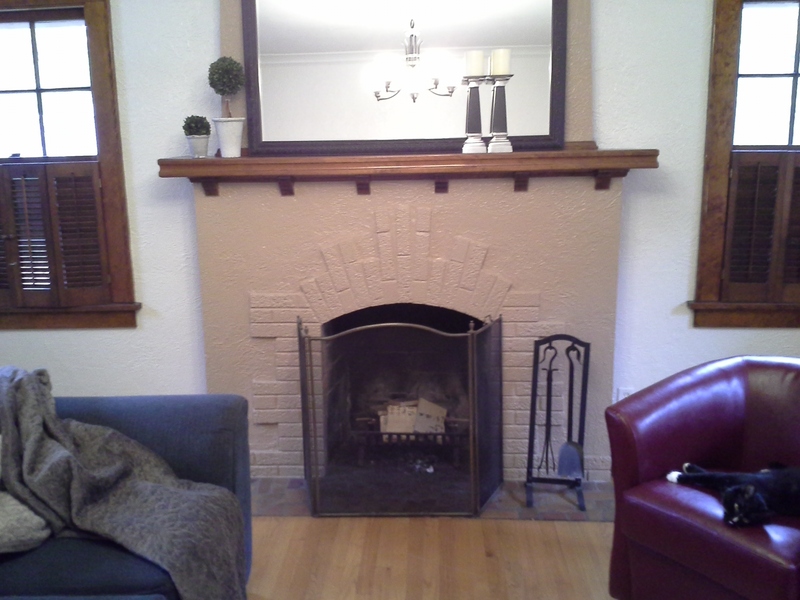 The old one (sorry, no photo) was original to the 1936 house. Modern, but not clashing with the style of the house. Plus, it has some fancy movement detector, so it turns itself off until you (or one of the hundreds of squirrels in the neighborhood) approaches. What I love about this remodel is the increased openness to the yard, and the increased privacy from the neighbors. I am very, very seriously considering selling my house next spring. I have been looking around with the eyes of a potential buyer, so as to be able to get top dollar when I am ready to sell. 1) A few of the rooms need new, neutral paint. 2) The upstairs bath needs a new floor and sink, paint and new light fixtures. While I have been working hard on some of the more labor intensive parts of this months long task, I needed a quick pick-me-up for motivation. So, I staged the living room. Here’s the photos. 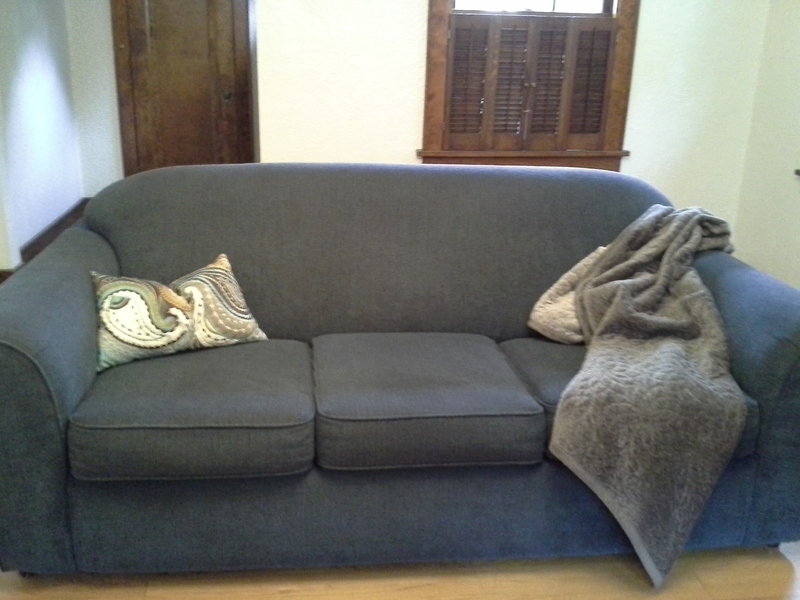 The couch. It’s twelve years old. I don’t think I’ll take it with me when I move. It used to have a twin, but the rough-housing Improv troupe broke it and this summer I replaced the broken couch with these two chairs. The small table replaces the coffee table. The cat is an attention hound, he shows up whenever I pull out the camera. 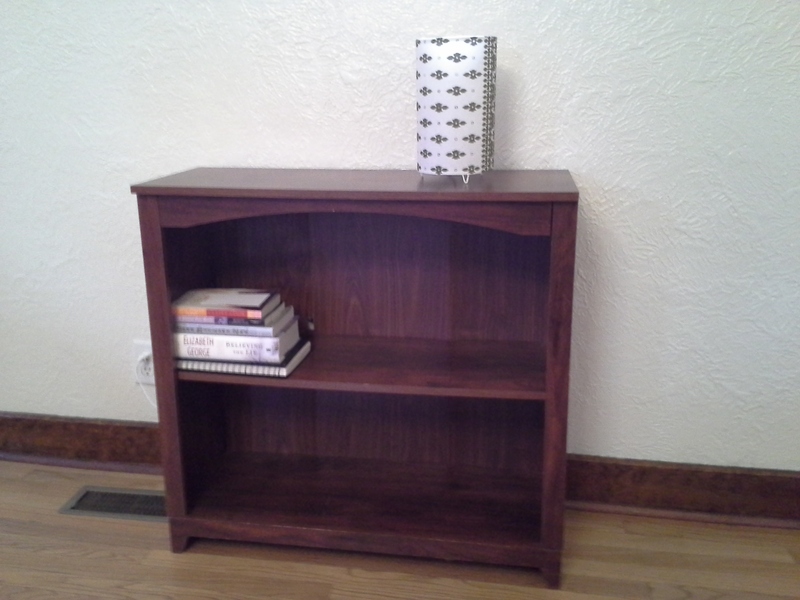 The bookcase in the background I pulled out of my daughter’s room, as it has too much furniture. The books are borrowed. I clearly need to find some more stuff for the shelves. In a pinch, I can borrow from friends. The horse head in the window is a family piece. 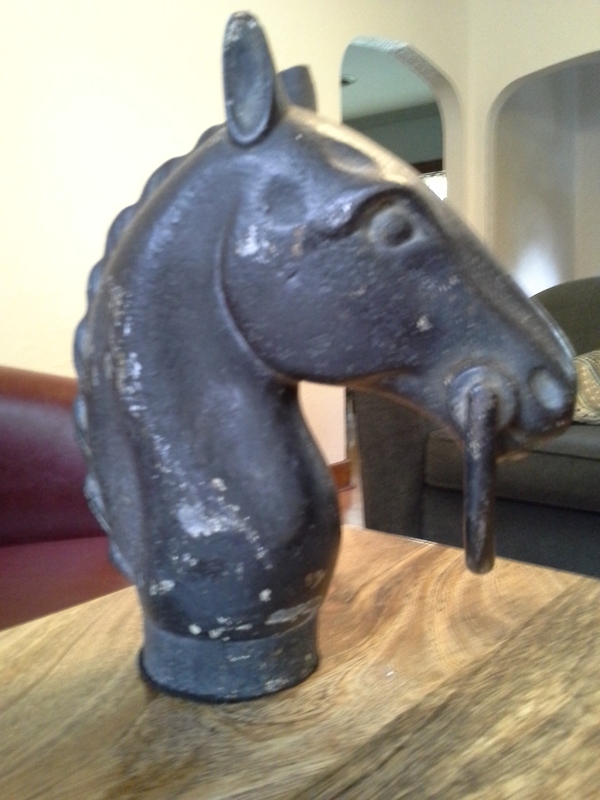 He used to be on top of a iron post and was planted in the front of my great-grandfather’s yard for people to tie the reins of their horses when visiting, so the horses would not wander off. He’s a hitching post. Or was. Close up of his sweet face. So, the count in my living room has gone from seven to sixteen. 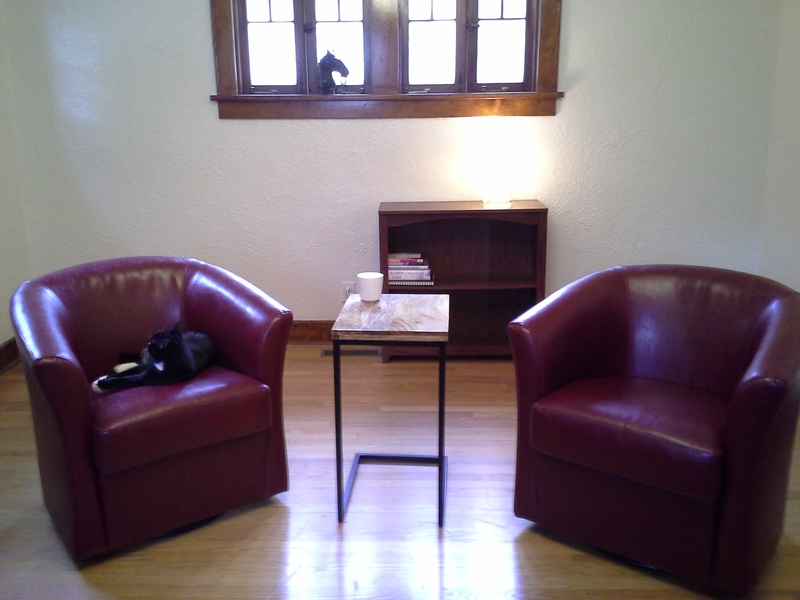 But I plan to only take three items to my new home: the two red chairs and the table. Oh, and the cat. I’m adding a new category of posts. I’m going to include occasional posts about a minimalist, historical or modern, that I admire. 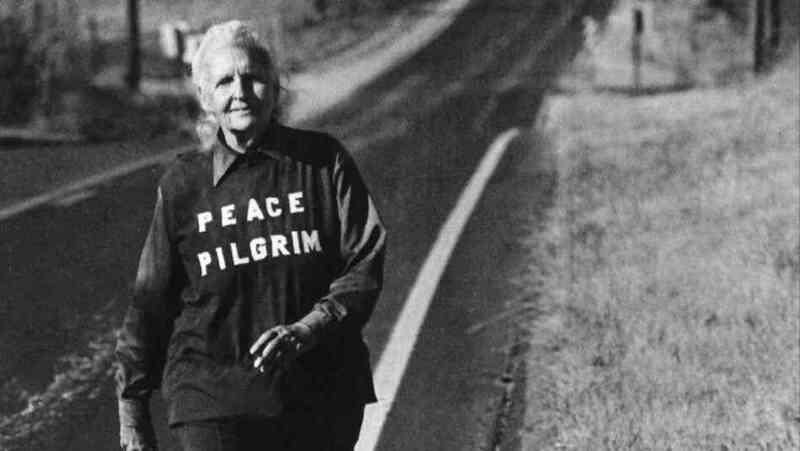 Peace Pilgrim is such a person. 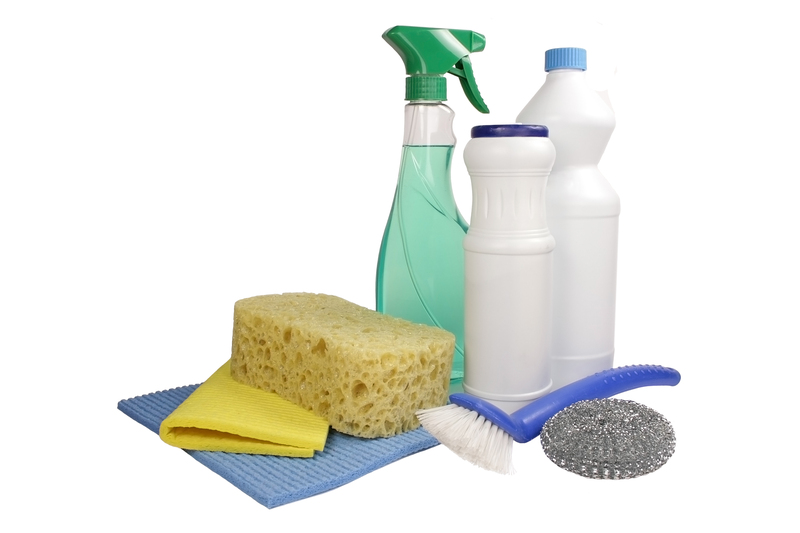 What follows is a not-all-inclusive list of things I clean and how often I clean them.